The long anticipated results from Humpback, the only well to be drilled in the South Falkland Basin in the current Falklands drilling campaign, have been disappointing, with the well encountering non-commercial quantities of oil and gas. Falkland Oil and Gas (FOGL), together with operator Noble Energy was targeting oil in the Diomedea fan complex in the Fitzroy sub-basin to the south and east of the Falkland Islands. Humpback was assessed pre-drill to be sitting in the likely oil window in the basin based on geothermal modelling. In addition it was hoped that good quality Cretaceous sands similar to those found in the 2010 FOGL well Toroa on the edge of the basin would be present in Humpback, as it was believed that these Toroa sands had been eroded and redeposited in Diomedea. 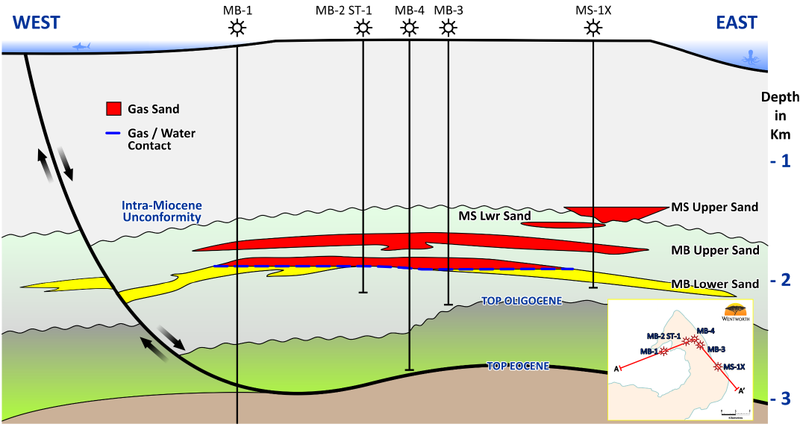 The presence of oil and gas gives credence to the geothermal modelling approach, however the sand quality was poorer than expected, with moderate porosities being reported.The oil and gas shows were found in 40m of net sand across in a number of sandstones, including the main target ,the Lower Cretaceous APX-200, with a further 25m of sandstone below. Drilling of the well has proven to be complex and difficult, such that the well had to be sidetracked, and it proved impossible to retrieve fluid samples from any of the hydrocarbon bearing intervals. As a result, the well will have incurred significant cost overruns. Humpback was originally scheduled to take 65 days to drill at a cost of $110m. The well has now taken over 130 days, so we expect that gross well cost could be in the region of $200m. Although an element of this should be recovered based on the unforeseen equipment failures that contributed to the long drill time, we expect that FOGL will exit this well with very little cash. 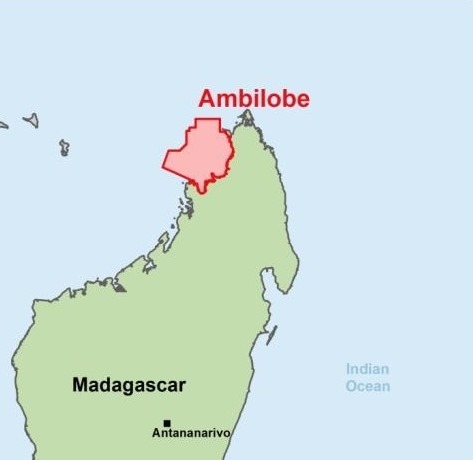 The company held a 52.5% WI in the well, but was only paying 27.5% of the costs as a result of an exploration carry paid by Noble under the terms of its farm-in. In addition, FOGL farmed down 32.5% of the deeper targets only to Noble to fund the drilling of the deeper section of the well. The rig will next move to the North Falkland Basin, where it will drill the Elaine/Isobel appraisal well. FOGL is fully carried for its share of Elaine /Isobel (including recovering $10m from its partners as compensation for switching this well from Jayne East). However, the company will still need further funding to carry out additional activity in either basin. FOGL and Noble will now integrate the Humpback well findings into the geological model to provide an updated view of the exploration potential of both the Diomedea area and the overall oil and gas potential of their Southern Area licences. The licences also include the Hersilia Fan Complex to the north of Diomedea and the Cretaceous Fault Blocks adjacent to Borders & Southern's (B & S) gas condensate discovery, Darwin. Inevitably, B & S will be impacted by this result being Southern Basin focused; however the merits of the Darwin potential development itself probably remain unchanged. Is the Serica deal a sign of improved North Sea co-operation? A recent transfer of equity in a Central North Sea block may herald the beginnings of a new period of cooperation in the UK North Sea that would encourage undeveloped assets to be brought onstream. Serica Energy (WI 50%), together with partners Endeavour (25%) and EOG (25%), looks set to pick up 100% of the Columbus field, mainly located in Block 23/16f. Columbus extends to the south into the 23/21a block, where partners BG and SSE have agreed to transfer their equity in the part of the block covering Columbus for a nominal sum. 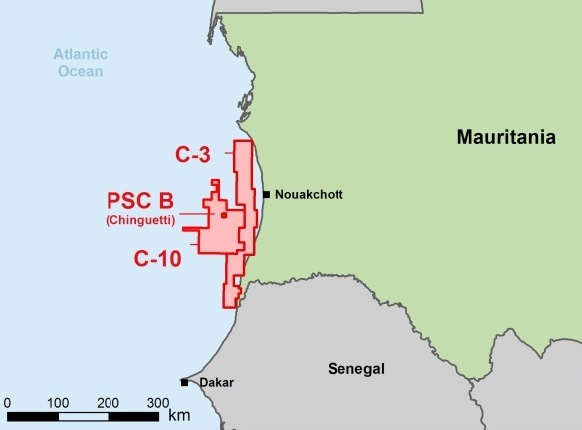 Columbus was discovered in 2006 and fully appraised by 2008, but Serica has to date been unable to finalise plans to develop the field via the BG operated Lomond platform, located 8km from Columbus. The 15.5mmboe field is a typical example of the kind of stranded asset that has struggled to be developed in the North Sea; a small accumulation operated by an independent, close to ageing infrastructure operated by a major, and with each holding separate commercial concerns. However, the Wood Report, published in 2014 and charged with identifying ways to maximise recovery from the UKCS, has highlighted the need for a fundamental shift in commercial behaviours between operators in order to benefit UK plc. Serica could be one of the early beneficiaries of this change in approach. Serica's deal should help to push the development of Columbus forward as it removes the need for unitisation discussions; however infrastructure access still needs to be agreed. Lomond provides production facilities for the Erskine field in which Serica has held an 18% stake since 2014, strengthening its position in negotiations with BG. Although the platform is ageing, a recent shutdown for major infrastructure improvements appears to have significantly improved performance since Erskine production restarted at the end of May this year. If sustainable, this would provide confidence that the platform life can be extended. The equity transfer points to a more pragmatic and constructive approach to commercial deals in the region. The Wood Report, together with the prevailing low oil price, appears to be concentrating minds to focus on inefficiencies and applying pressure to perform. 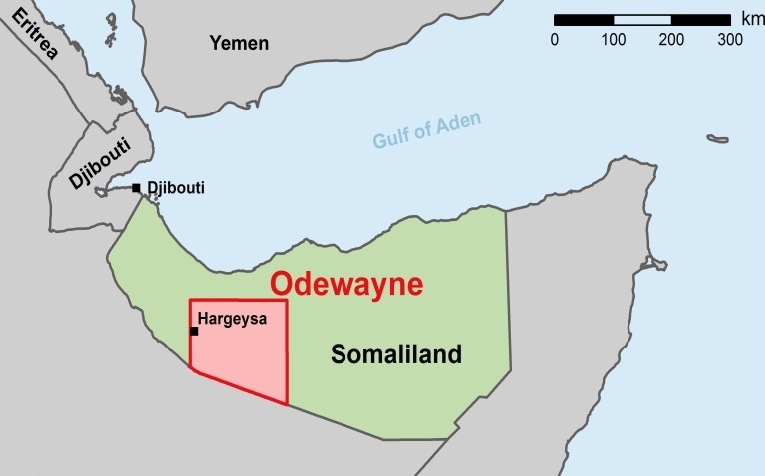 In addition, the regulatory body set up this year to implement the Wood Report's recommendations, the Oil and Gas Authority (OGA), is now expected to be involved in facilitating a commercial agreement for Columbus, along similar lines to that already employed by NPD in tariff negotiations in Norway. If successful, this could point the way for others to progress the development of further stranded assets on the UKCS. The headline from Genel’s trading statement this morning is perhaps the downward revision of the 2015 production guidance from 90-100mbopd to 85-90mbopd and revenue guidance narrowing at the bottom of the range (was $350-400m, now $350-375m) assuming $50/bbl crude. Following GKP’s recent receipt of payments for production, Genel expect $24.5m in the short term, which we hope will be a further step towards reliable payments from the KRG for production. As with all KRG-focussed producers, Genel is restricting its investment until it sees returns from existing production, and the sooner that payments (and back payments) for production are received the more quickly Kurdistan will see further increases in capacity. Importantly, the export volumes from Kurdistan continue to increase, with news yesterday (Bloomberg) that exports could be running at 656mbopd (from 564mbopd in September). Even with oil prices where they are, these kind of volumes give us hope that the KRG can afford to pay its contractors. Elsewhere, the gas project is continuing with ING appointed as mid-stream debt adviser, Genel will be participating in the Aigle well (Cote D’Ivoire), and the completion of Taq Taq’s second central processing facility (90bopd) is on track for end-2015. Analysis indicates that there is a linkage between the prevailing oil price and industry deals, but this is unsurprisingly not linear and differs between types of deals. The oil price saw a steady increase from approx $55/barrel up until its peak during the years 2011 – 2013 where it stayed approximately at the $110/barrel mark. In this time the number of deals completed has somewhat kept up with the pattern of the oil price, as 1118 deals occurred in 2011 and 1041 in 2012, which were the most in a single year since 2005. However, since then oil has seen a massive decline in price, with the current price being $50/barrel. As expected, during this period, the number of deals gradually dropped from the heights of 2011 in line with the oil price. Total deal value does not follow quite the same trend as the number of deals, with the values of the deals significantly less in 2011 and 2013 suggesting that even though more deals took place in those years, many of the deals would have had lower values. The peak in total deal value was in 2012 at approximately $300bn, a contributing reason for this could be because the deals in 2012 involved much higher proved reserves than any of the other years hence the average value of the deals were higher. However, with further analysis, it becomes transparent that the oil price does not affect the bigger players in the market, for example deals with values above $10bn are not too affected by the oil price as there has not been a large change over the years in these types of deals. In fact the largest deal from the last five years has come in 2015, the year where the oil prices have been the lowest; this was the deal where Shell acquired BG for $81.9bn. When the deals were broken down into type of fields, a similar trend seemed to have continued on the whole amongst all the types. However, the proportion of Corporate M&As decreased from 26% of all deals in 2006 to 11% in 2013, but more recently they are increasing again with the figure at 18% in 2015 up until now. In conclusion, we can see while there may be a trend between the oil price and number of deals occurring over time, there are many other factors to be taken into consideration and with more in-depth analysis the trend starts to fade. The launch of Plexus Holdings' Python Subsea Wellhead at Offshore Europe 2015 is a major step for the company, allowing it to access a previously untapped market with its innovative POS-GRIP technology. POS-GRIP was invented and developed by Plexus founder-CEO Ben van Bilderbeek and is a patented method of friction grip engineering which the company has used to redesign wellhead systems. The wellhead market has been dominated by large US companies such as Cameron (currently expected to be acquired by Schlumberger for around $14.8bn) and FMC Technologies. Yet Plexus currently has almost 100% of the UKCS exploration jack-up drilling wellhead market, and has also been particularly successful in HP/HT exploration applications where technical demands are greater. Until the introduction of Python however, the company did not provide a subsea system, so this should allow the company access to a much larger market. Interest in the system can be seen in the calibre of companies that have supported the joint industry project to develop Python, including BG, Shell, Wintershall, Maersk, TOTAL, Tullow Oil, ENI, Senergy and Oil State Industries. The Python Subsea Wellhead is planned to be run in a trial well during 2016. The system virtually eliminates the movement between sealing parts that causes seal deterioration and failure. All well operations can be carried out through the Blowout preventor (BOP). This saves a significant amount of rig time and improves safety as the BOP is in place at all times. Hangers are sealed and locked as soon as cementing is completed, preventing hanger movement under pressure (as occurred during the Deepwater Horizon incident). The Gulf of Mexico benefits from a unique combination of factors that make it a particularly attractive region for major operators, with Shell, BP and Chevron holding substantial acreage. Companies operating in the area have access to potentially large resources together with the ability to hold large positions that gives them running room to grow, while the concentration of companies with interests in the region allows flexibility to farm in and out as necessary. The Gulf is close to a centre of excellence in a range of oilfield applications from seismic to drilling technologies, and also benefits from a well developed infrastructure. Together with the predictable fiscal regime and low tax rate of the US, this makes it a good place to replace reserves and grow production. The region is technically demanding which plays to the majors’ strengths, however US independents are also active in the region, with Cobalt and Anadarko holding key positions in the inboard Lower Tertiary. Production from the Gulf of Mexico is set to reach a new peak of 1.9mboe/d in 2016. Activity has returned to the region following the post 2010 Macondo slowdown, and will result in an expected 18% production increase between 2014-2016 as new developments come online. 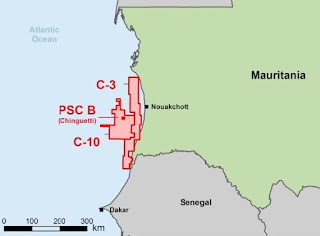 Since late 2014 the Jack/St Malo, Tubular Bells, Lucius and Hadrian South developments have all commenced production, while Lower Tertiary exploration continues to throw up new discoveries, most recently in Chevron’s Anchor discovery announced in January 2015. Beyond 2016 however, production is currently expected to remain relatively flat as existing fields decline and the rate of start-ups falls from 15 in 2014-2016 to 8 between 2017 and 2020. Although the overall rig count in the Gulf of Mexico has dropped in the wake of lower oil prices, the deep water rig count has remained resilient, with jack up rigs bearing the brunt of the cuts. Activity does however seem to be prioritising appraisal and development, with only five rigs drilling exploration wells compared to fourteen a year ago. Given the long lead times required to progress a project from prospect to development in the region, together with long production profiles, we expect activity to continue in the near term as operators focus on maintaining their long term outlook while looking to reduce costs. For example, Shell’s 175,000 boepd Appomatax development was given the go ahead in June 2015 having achieved cost reductions of 20%, and is expected onstream in 2020. BP is aiming for a final investment decision on its Mad Dog 2 project by end 2015/early 2016, and is now working with a reworked project cost of $10bn, significantly lower than its 2011 estimate of $22bn. And it isn’t only the majors that are continuing to invest in the region. US Independent Cobalt recently increased its stake in the Goodfellow prospect from 29.2% to 47% where it is now the operator. The company believes that costs will come down in alignment with the price environment, maintaining the attractiveness of its discoveries in the inboard Lower Tertiary. Beyond cutting costs, companies will also need to keep innovating if they are to grow production into the next decade. To achieve this, we see a continuing focus on developing new technologies to improve the recovery factor in the Lower Tertiary and in extending the HP/HT operating limits beyond the 15,000psi and 2500F that is currently feasible. Initiatives to tackle these issues include BP’s Project 20K and Statoil’s ‘Unlocking the Paleogene’, while new ownership structures such as the 2015 alliance between BP, Chevron and ConocoPhillips to develop the Gila and Tiber fields are designed to combine expertise and share costs in order to unlock further resources. Beyond these initiatives, the recent deepwater discoveries in the Mexican waters of the Perdido Fold Belt could point to the opening up of the next area of the Gulf for growing reserves. This is the first interim results statement under Genel’s new management, with a new CEO and CFO taking the reins. In the near-term, we expect them to focus on operational delivery in Kurdistan rather than seeking expansionist acquisitions in/outside the core area. Genel’s interims add only incrementally to the overall story. Revenue, production and capex guidance all remain unchanged and operations at the fields continue, safe from ISIS. The company has disclosed capex estimates for the Miran/Bina Bawi gas condensate development, which highlights the very low development costs that KRG-focused projects benefit from. Upstream full life costs are estimated at less than $2/boe, with additional midstream capex (of $2.5bn) expected to be funded/managed by the KRG. These are extremely low by global benchmarks and underline the appeal of Kurdistan operations in a $50/bbl world. Given the KRG statement a few days ago on starting payments to contractors (see our previous blog post here), the next few months will hopefully see positive news. Should the payments start in September (and ramp up in early 2016) as promised, we should see a marked increase in interest for Genel, DNO, GKP and others as they get paid for their production and start to recoup past profits (the Genel net KRG receivable alone now stands at $378.4m). The lack of payments visibility has been a major obstacle to the long-term story for contractors and the KRG. Once cash is flowing, the companies can start to invest more materially in other projects (for Genel this includes at Peskabir, Ber Bahr and Chia Surkh) where discoveries await appraisal and development. African exploration has taken a back seat as expected, with relinquishment of Juby Maritime and studies continuing on the other two licences (Mir Left and Sidi Moussa). 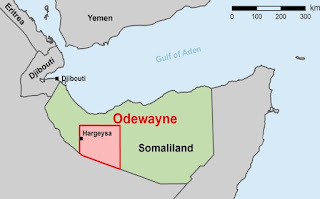 Somaliland remains a longer-term play (one we remain positive on), Ethiopia has a drill-or-drop decision due in January 2016 and the 24% interest in Cote D’Ivoire is under consideration for a farm-down before a commitment well in 2H2015. The singularly most important concern for investors in Kurdistan-based companies over recent times has been the ability of the contractors to get paid on a timely basis for their production, and to a lesser extent, to recover back payments owed. This has taken a further step forward today with the publication of a statement from the MNR. "[t]herefore, from September 2015 onwards, the KRG will on a monthly basis allocate a portion of the revenue from its direct crude oil sales to the producing IOCs, to cover their ongoing expenses. Furthermore, as export rises in early 2016, the KRG envisages making additional revenue available to IOCs to enable them to begin to catch up on the past receivables due under their production sharing contracts." A clear statement of intent from the KRG is extremely welcome, and shares in Kurdistan-based companies have all jumped today in trading. While the move to start compensating companies for back payments in early 2016 is very positive, this still leaves uncertainty for the period from September until then. When the KRG refer to covering "ongoing expenses", does this mean (i) just opex (ii) opex and in-country G&A (iii) opex, G&A and debt payments (iv) other? Obviously inclusion of debt payments would be more material, especially for Gulf Keystone, which does not have the cash piles that DNO and Genel enjoy (although all three have made efforts to support cash inflows through domestic sales). Non-producers such as Oryx, WesternZagros and ShaMaran should also benefit as it becomes clearer that funds invested in development will see a clear path to monetisation through sales. In the meantime, we would expect that each are being paid regularly (GKP receives monthly payments under a direct contract with a domestic offtaker currently). We look forward to clarification on this point in time. From September 2015 onwards, the Kurdistan Regional Government (KRG) will on a monthly basis allocate a portion of the revenue from its direct crude oil sales to the producing international oil companies (IOCs), and as export rises in early 2016, the KRG envisages making additional revenue available to IOCs. At the start of 2015, the KRG reached a deal with the federal government in Baghdad to export crude oil in exchange for regular payments of the Region’s 17% revenue entitlement. The arrangement was enshrined in the 2015 federal Iraqi budget. The KRG recognizes the spirit of cooperation in which the budget deal was struck with the federal government and it remains determined to build on such progress, and through dialogue and discussion to reach a lasting agreement with Baghdad on all outstanding issues relating to oil and gas and revenue sharing. The KRG has also been pleased with the level of technical cooperation on the ground from federal government entities such as the North Oil Company (NOC) and SOMO. The KRG will continue to facilitate oil export from NOC-operated fields in Kirkuk via the KRG’s pipeline network to Turkey. However, due to a number of factors, the federal government has to date been unable to provide the Kurdistan Region with its monthly budgetary dues. As a result, the KRG has been obliged to introduce direct crude oil sales from Ceyhan to help pay Kurdistan Region’s governmental salaries, maintain vital government services, and of course, pay the Peshmerga and other security forces who are fighting Islamic State terrorists. Although the revenue gained from direct sales is still below Kurdistan’s 17% share of the federal budget, it is significantly higher than the amount the federal government was able to allocate to the KRG on a monthly basis. In this regard, the KRG acknowledges and appreciates the economic contribution to the Kurdistan Region made by the producing IOCs and their success in raising oil export from Kurdistan to record levels. They have demonstrated their commitment to the people of Kurdistan at a time when the Region has been fighting terrorism, enduring a budget shortfall from the federal government in Baghdad, and shouldering the social, political and economic burden of an influx of 1.8 million refugees and internally displaced people. The KRG also recognizes the patience of the producing IOCs, which, despite receiving hardly any payments for their crude oil production since May 2014, have maintained operations and have continued to invest to support Kurdistan’s crude oil export. Crude oil export is the principal revenue earner for the Kurdistan Region. But, it is also recognized that it is difficult for the IOCs to sustain oil export at its current levels, let alone increase it as planned, without receiving their financial dues. Therefore, from September 2015 onwards, the KRG will on a monthly basis allocate a portion of the revenue from its direct crude oil sales to the producing IOCs, to cover their ongoing expenses. Furthermore, as export rises in early 2016, the KRG envisages making additional revenue available to IOCs to enable them to begin to catch up on the past receivables due under their production sharing contracts. Petroceltic (PCI) is an E&P with assets in Egypt, Bulgaria and Algeria,where it is developing its flagship gas project Ain Tsila. As producing fields in Egypt and Bulgaria decline and exploration is de-emphasised, the valuation proposition in PCI shifts steadily towards Algeria. The drilling contract for Ain Tsila was awarded in April and the project is on track to be sanctioned by end-2015 and start up in Q418. Ain Tsila is fully funded until Q216 thanks to Sonatrach’s carry. The June launch of a $175m secured bond is an important step towards securing financing for H216-2018 – further progress on this front would remove uncertainty. A RENAV of 154p/share (which should grow c 16% pa over time) indicates the stock is pricing in nothing for a possible second phase at Ain Tsila or exploration. PCI plans to monetise 2.1tcf of dry gas and 175mmbbls of condensate/LPG at the Ain Tsila gas field, targeting a Q418 start-up date. Ain Tsila is a transformative project for PCI, the only independent to develop a gas project in Algeria. Risks are mitigated by the use of proven technology and Algerian PSC terms, which protect returns from cost overruns and effectively guarantee a base return on investment. Key catalysts are the EPC contract awards and start of development drilling by end-2015. Given the vast gas resources in place (>10tcf GIIP), there could be further value upside from a second development phase in the long term (2022+). Ain Tsila will provide a significant production boost as Egypt and Bulgaria decline. PCI is moving away from high-risk exploration and focusing activity on onshore licences in Egypt close to existing blocks, where discoveries could be brought onstream fairly quickly. In the medium term, exploration prospects in onshore/shallow-water Italy and offshore Egypt could offer significant upside. Our core NAV is 125p/share, including Egypt, Bulgaria and Ain Tsila Phase 1. Hence at the current share price, the market is giving PCI no credit for Ain Tsila execution and upside and for exploration in Egypt/Italy. Our RENAV is 154p/share. As the project progresses and first gas nears, its value should grow, supporting a RENAV CAGR of c 16% out to 2020. We estimate PCI requires c $580m of debt funding to get through the heavy spend phase in H216-18 until first gas. Beyond the recently announced $175m secured bond issue, we expect it to look to a mix of corporate bonds, project finance and RBLs. Progress on refinancing over the next 12 months and on strategic issues with Worldview would be a positive catalyst. Rockhopper (RKH) is midway through a four-well exploration and appraisal campaign to explore and understand the reservoirs in its licences, including the 400mmbbl Sea Lion development, shared with Premier Oil (PMO). RKH is fully funded for Phases 1a and 1b, from which further development can be financed. This forms the majority of RKH’s core value (144p/share), which is well above the current share price. Furthermore, our analysis indicates the value should increase markedly over time as first oil approaches. Beyond Sea Lion, the Isobel Deep discovery hints at another major discovery field, once fully explored and appraised. With pre-drill estimates of over 500mmbbl, it could more than double gross resources. After a planned final investment decision (FID) in mid-2016, Sea Lion should see first oil in late 2019 under Phase 1a, with two or more phases unlocking resources from PL032 and PL04 over time. Current plans are to produce around 60mb/d from an FPSO, though success in further drilling may boost these plans in the longer term. 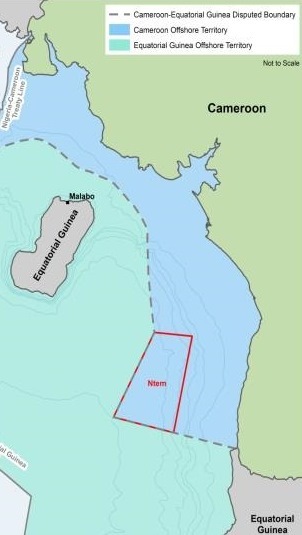 Recent news has de-risked potential at the Isobel Deep/Elaine complex, estimated to contain 510mmbbl pMean resources. If proven up, the complex would be a second major leg in the North Falkland’s story, and push gross recoverable resources over 900mmbbl. Further exploration and appraisal is needed and we expect the consortium to return to follow up the first Isobel Deep well to understand the potential. The well has further demonstrated RKH has good understanding of the basin with nine of 11 wells successful. The 2012 farm-out to PMO secured RKH’s financial position and put it in a rare group of fully-funded developers. Our core NAV (144p) is well above the share price, while RENAV including the Isobel Deep complex, its two upcoming Falkland wells (Chatham and Jayne East) and Faseto in Italy increases further. Of these, we are most interested in the results of any future Isobel drilling (timing yet to be firmed up), which could de-risk a complex, which is potentially as large as than Sea Lion, and unlock further value. Our analysis indicates core NAV growth of around 20%, promising strong returns for investors. In what appears to be a developing focus on Africa for our recent company snapshots, we were lucky enough to meet up with Katherine Roe last week. Katherine handles investor relations for Wentworth Resources, the East African gas company which is about to begin production and sales from their key Tanzanian gas development; Mnazi Bay. 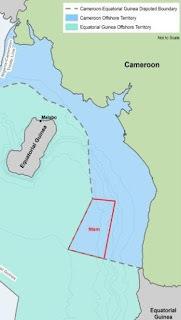 Mnazi Bay, Wentworth 39.925% WI (exploration)/ Wentworth 31.94% WI (development and production). 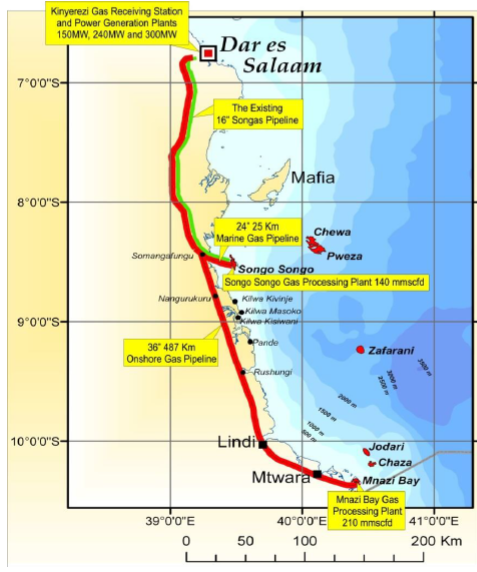 Wentworth expects gas sales from Mnazi Bay to commence in Q3 2015. The Mnazi Bay Concession joint venture partners are in the final stages of agreeing payment guarantees supporting the gas sales agreement signed with the buyer; state owned Tanzania Petroleum Development Corporation (“TPDC”). Once agreed, physical production can start with sales proceeds to begin within a few months thereafter. The first task will be to fill the transnational pipeline, expected to take around 1Bcf and take approximately one month. Once on production, the gas is to be transported from Mnazi Bay in the south of Tanzania to Dar es Salam, the commercial capital, via the newly commissioned, government funded $1.2bn 36’ gas export line, owned and operated by TPDC. The primary purpose of the pipeline is supplying gas the domestic energy shortage in Tanzania and supporting plans for expansion of power generation within the next three to five years. The economics support the project, with electricity generated from natural gas costing 10c/Kwhr to produce vs power generation from diesel and other liquid fuels at c50c/Kwhr. 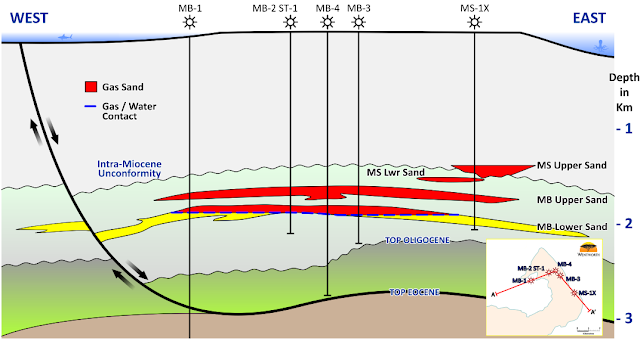 Following the successful MB-4 development well, completed in June, the Mnazi Bay field has five wells, as shown in the cross section map below; all five wells are completed as producers. Results from the MB-4 development well were positive, with the well encountering both a 43m and 24m pay interval in the Miocene. The well also confirmed Wentworth’s interpretation of the field, as pressure measurements in the well confirmed the lateral and vertical connectivity of each reservoir. Once on-stream, the 5 wells at Mnazi Bay are to be brought on production, with output expected at 80mmscf/d between the five wells during the initial testing phase. Beyond the initial ramp-up to 80mmcf/d, Wentworth targets a plateau production rate of 130mmcf/d (the rate agreed within the gas sales agreement) which the group expects to achieve in the second quarter of 2016. Achieving 130mmcf/d may require the drilling of additional development wells which would be expected to take place in 2016. At 130mmcf/d the full field reserves of 443 Bcf would be produced of the remaining 16 year life of the Mnazi Bay Development License. Expansion beyond this level of output is dependent on further exploration success within the Mnazi Bay Concession. 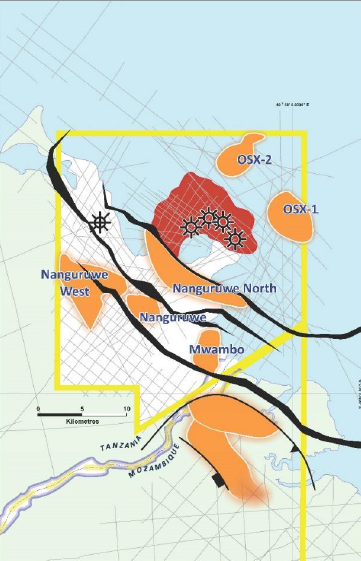 Wentworth has six exploration prospects identified in Mnazi Bay (shown in the map below) representing 1.5Tcf (614Bcf net) of potential resources, hence further exploration is expected. In terms of funding exploration, Wentworth expects future exploration wells to be funded from cash flow. Once on-stream and producing 130mmcf/d, Mnazi bay is expected to generate c$3.5m in revenue per month. Funding exploration from cash flow is effective from a tax perspective as exploration expenses, whether the activities are successful or not, are recoverable against future cash flow within the concession. In terms of potential for expansion beyond the current 130mmcf/d featured in the GSA, Wentworth estimates in the third year of production (2017) up to four further development wells would be required to reach 210mmcf/d production, assuming reserves can be increased with exploration success to back this growth. Beyond this, in Year 5 (2018), the Company estimates an additional three wells would be required take output to 270mmcf/d. In terms of any capacity limits for future growth, capacity of the Mtwara to Dar es Salaam export pipeline is put at around 750mmcf/d; hence Wentworth are unlikely to find production scaled back due to export constraints.